The expectations for websites have changed rapidly. What were once Yellow Pages-esque placeholders are now expected to be interactive, perpetually fresh sources of information that are dependable, up-to-date, and on-trend. As visitors, most of us would say that we have those same expectations of the sites that we visit, right? However, when we switch from being a consumer of website resources to working on updating the design of our own or our business websites, we tend to do things as we’ve always done them. The traditional approach to website design typically means focusing on point A to point B work or a website design that has a definite starting and ending point for production. Once point B or the "end" of website work is done, we have to be satisfied that everything we could possibly need our websites to do or say is included, because we know that it will stay essentially static for the next few years. Once we feel that we have gotten the good out of the exorbitant amount of investment, the process has to start all over again in order to keep up with our business growth, technological developments, and the ever heightening expectations of our audience. But there’s a shrewder new strategy for business website design in town. The growth driven website design approach has developed in response to the need for dynamic, continually advancing websites aimed at generating marketing and sales qualified leads. Traditional web design clearly wasn’t cutting it for moving companies toward meeting business goals. Let's talk about why. Before we get into the problems of self-contained web design projects, let’s discuss what its advantages are. After all, there must be something positive about it if businesses have stuck with this approach for so long. The traditional approach gets you somewhere and allows you to check off another task on your to-do list. You’ve made it from point A to point B, and now your site’s online. But once you’ve landed on point B, where do you go next? With traditional website design, the answer is nowhere. It’s kind of like buying an expensive plane ticket to an exotic location and never leaving your destination’s airport. Sure, you landed, but you didn’t get to experience anything else or enrich yourself in the process. 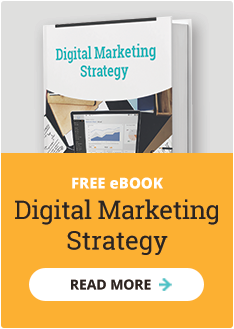 The self-contained nature of this approach means your site will eventually become stale, and you’ll have to go through the process again. That’s a lot of time and money wasted. Thankfully, the growth driven website design method gets you out of the airport and into your destination, where you can explore and get to know the community around you. What is growth driven website design, anyway? Glad you asked. It’s the continuous process of designing and updating websites based on real-time data and insights to better reach the target audience. You might be saying to yourself, "You mean I never truly finish my website? It always needs updating?" Well, yes, but ultimately this is a good thing. It’ll make your life easier in the long run. Why? Because it’s all about making smart tweaks to adapt your website over time. There’s no need for a major overhaul every few years. Instead, you make minor adjustments on a regular basis based on what you learn from visitor data. This strategy is especially important in the lead generation aspect of things. Growth driven website design meets you where you and your business are already. To get started, take stock of your current website. What’s working? What’s not? Make a wish list of all the things you’d like to see on your website. As you plan for the redesign, you’ll map out when to integrate these elements in cycles. This means you won’t have to sacrifice any aspect of your website. Instead, you’ll work it in as you learn more about your audience and your site’s performance. 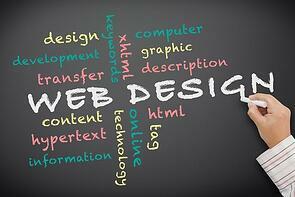 Then, brush up on ways to increase your site’s IQ before preparing for redesign with a web design firm. A smart website is one that meets your audience’s needs and reflects your business’s purpose.